﻿ Ramada Milton Keynes Milton Keynes. JIMAT di Agoda.com! Ada soalan mengenai Ramada Milton Keynes? Jika apa yang anda cari adalah hotel dengan lokasi menyenangkan di Milton Keynes, cuma perlu lihat Ramada Milton Keynes. Dari sini, tetamu boleh menikmati akses mudah kepada semua yang bandar meriah ini boleh tawarkan. Bagi anda yang ingin pergi agak jauh, Quiksilver, MK Gallery, The Centre: MK merupakan beberapa daya tarikan untuk pelawat. 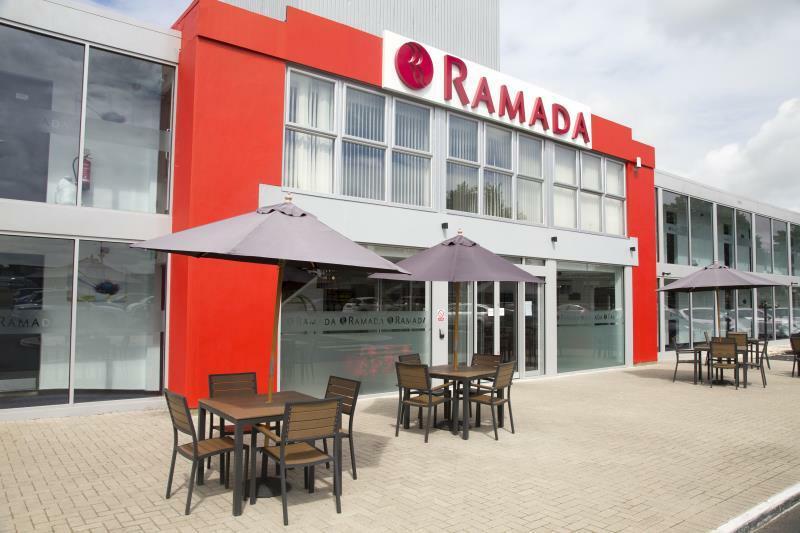 Perkhidmatan hotel kelas pertama dan kemudahan yang menentukan pengalaman Welcome Break menanti anda di Ramada Milton Keynes. Untuk menamakan beberapa kemudahan di hotel ini, terdapat Wi-Fi percuma semua bilik, penghantaran barang runcit, khidmat teksi, meja depan 24 jam, fasiliti tetamu kurang upaya. Semua bilik tetamu menawarkan pelbagai jenis tahap keselesaan. Banyak bilik turut menyediakan tuala, karpet, cermin, linen, pemanas untuk memuaskan hati tetamu. Taman di hotel merupakan tempat yang ideal untuk anda relaks dan tenangkan diri selepas hari yang sibuk. Apapun alasan anda untuk melawat Milton Keynes, Ramada Milton Keynes adalah tempat yang sempurna untuk percutian yang menyeronokkan dan menarik. Harap maklum kanak-kanak berusia hingga 12 tahun dapat menginap dan makan tanpa caj tambahan jika mereka datang bersama tetamu dewasa yang membayar penuh. I find it despicable that a well respected hotel brand such as the Ramada would knowingly accept the toilet facilities in this hotel. The staff knew about the issues when a verbal complaint was made and said the same complaint had been made many times before. In future, I will make efforts to avoid the Ramada and also the IHG chain of hotels if this is the standard they accept. Basic but comfortable Rooms - Bathroom has shower only with no door and fixed soap dispensers. Has a decent selection of pillows to ensure you have the right option, tea coffee and biscuits. Breakfast has a reasonable range and will cook eggs to your style/liking upon request - restaurant is reasonable in evening but better options exist nearby (Red House). Fair price, good location, breakfast good, staff very helpful. Good cheap hotel just off the M1 Breakfast was good and so was the price I paid. We were really pleasantly surprised by how great this Hotel stay was - staff extremely helpful and friendly, rooms were spotless and had everything we needed, restaurant/food was of a high standard - the offer of 'sirloin steak/wine' for your September stay is a must! Really surprised by the 'Full English Breakfast' being included, when the description was just 'continental'. 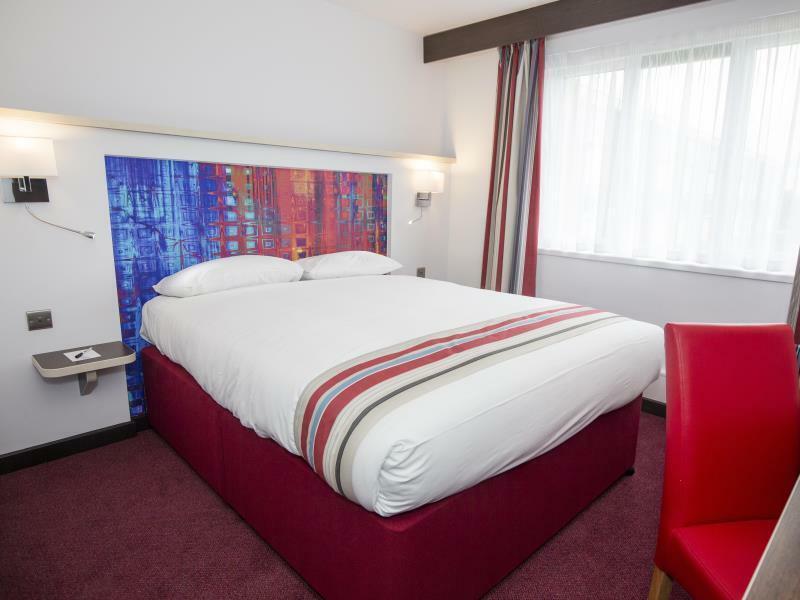 We would thoroughly recommend this Hotel as great value for money, at just £50 for our overnight stay - also join the 'Wyndham Hotel Rewards' and get bonus points on your first stay, also a goodie bag to go!! Well done 'Ramada' your extra customer service touches, brilliant staff with attention to detail are a credit to you - thank you! Angela the manager was very rude to me, I will having a laugh with a gentleman behind the bar about the drinks menu as it showed you could have a pint of Malibu for £4.50 which he approached Angela about and she didn't find it very funny then I turned round and just said I was a little drink and then she refused to serve me, which I think is disgusting, if I was drunk and being abusive I would understand but I wasn't, I was nice and having a laugh and she didn't like it, after talking to her for about 10 minutes she changed her mind but in all honesty she is rude and should not be in a managers position with that kind of attitude especially when she has a team of staff that lead by example, I am a manager myself and I wouldn't dream of speaking to a customer in that manner. I would not stay at that hotel again. Plus side, Ben was bloody brilliant, funny, well spoken and always on hand if needed. In my eyes, he would make the perfect manager. Hotel were reluctant to honour our free breakfast (as stated on our booking slip) EVEN though... it was printed in black and white! Rather embarrassing to have to argue the toss, search new bookings on agoda etc just to get our already paid for and promised breakfast. Wont recommend, and wont return. Pity, bevause we were scouting for a large family wedding booking for next year. Guess we're not staying with them. I planned a day out at Woburn Safari Park and needed somewhere to stay, this was a quick booking because it was close the venue. As it is located in a service station my expectations were not high but on arrival I was very pleasantly surprised that it is just off the service station and a very nice hotel. At the check in the service was very good and the room was very clean and tidy. The food was good and at a reasonable price and the whole experience was very pleasant so I will be returning on my next visit to the area. Hotel has a fresh appearance. Did everything you would expect well: room, bathroom, breakfast buffet. Excellent price from Agoda for 2 people one night and 2 huge breakfasts all for £50, incredible. No restaurant on site was a little inconvenient, but the motor way services was just across the road. Not good in bad weather. Ideal for business people and couples, not for family stay. Found there was no drawers for clothing etc, just hanging space. Rooms very clean and tidy , shower not adjustable so found it awkward being small. Very convenient for the motorway. Pleasantly surprised by the high standard.